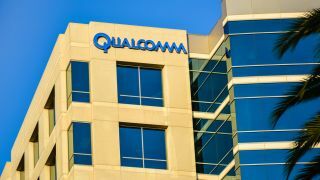 In what the media described as an 'unexpected' turn of events, Apple has capitulated at Qualcomm's lawsuits, and the two companies came to a mutual agreement. The agreement was confirmed via an official Apple statement which said that the two companies will be dropping “all litigation” between them. However, Apple will be paying an undisclosed sum of money to Qualcomm. The settlement also includes a six-year patent license agreement (already in effect, starting April 1), as well as a two-year option to extend. There’s also a multiyear chipset supply agreement. This final piece of information proved vital for Qualcomm, whose shares jumped 23 per cent, into a high it hasn’t seen in 19 years, according to Reuters. “Shares of Qualcomm jumped 23 per cent to $70.45 in regular trading, their biggest gain in more than 19 years, then hit $75.25 in after-hours trading,” the report reads. Apple and Qualcomm have gone back and forth for years, arguing over who has the rights to use what, and who needs to pay for using which technologies. While Apple argued that Qualcomm was curbing competition, Qualcomm argued Apple was using its proprietary tech and demanded some models of the iPhone to be banned from sales in the States. Qualcomm even succeeded in one occasion, when the jury in the US District Court for the Southern District of California found that Apple used three separate technologies, belonging to Qualcomm, with a multitude of their devices, without the latter’s permission.